Pair of two geometric bookends in solid brass. 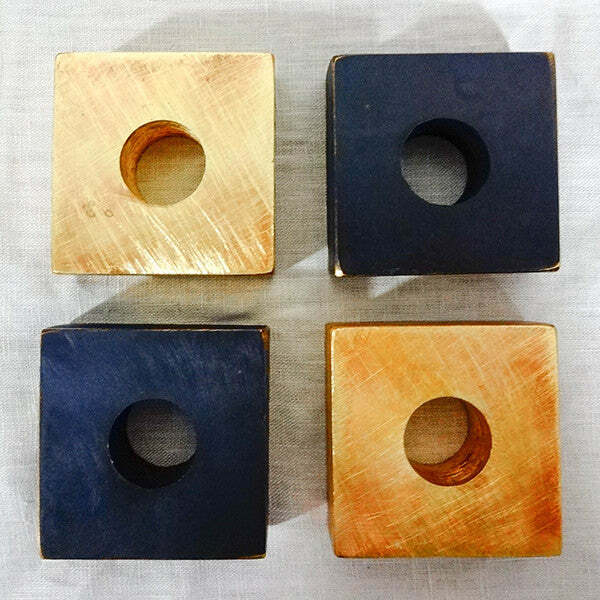 Available in polished brass with crosshatch pattern or patina brass. Handmade.